Hello Folks and Good Evening! Yes, we do have some Evening Polls out tonight. Let’s get started. I don’t how much I told “The Dog” that with Lamont Democrats would be losing CT Governor and with Malloy they would be winning CT-GOV. I think I’m right. I’m also aware of that Malloy actually beat Lamont at the CT Democratic State Convention. Well, I think this is what you get if you don’t put up an Top-Tier Challenger against a sitting Senate Majority Leader. ONCE and FOR ALL Republicans need to realize that all 3 GOP Candidates are nothing compared to current Senator John Thune (R-SD) who beat the last Senate Majority Leader Tom Daschle (D-SD) in 2004. Thune had the EXPERIENCE running Statewide before only losing narrowly to Sen. Tim Johnson (D-SD). I think both Lowden and Angle are scewed against Reid. Tarkanian could make this a close Race I believe. Unfortunately Tark is unlikely to win the Primary. WOW……Daniel G!…….DailyKos has Reid AHEAD of every Republican!……Did I read that right? Oh, you gotta post up the polling stats for that race!….. 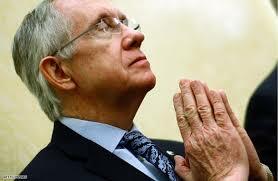 He, he, he…..Reid is NOW AHEAD……Oh, Boy! And you wanted me to give up on these races!!! I remember all the noises Democrats made about giving Grassley “The Race of Life” early on in this Cycle. This Race has now gotten completely off the Radar as Iowas Senior Senator holding a commanding lead over his 3 Democratic Challengers. Note: Rasmussen Reports to release new Iowa Governor Poll Numbers tomorrow. At the beginning of the Health Care Debate Grassley seemed very vulnerable because he was the Republican Raking Member of the Senate Finance Committee. As time went on Grassleys Numbers improved considerably. The Dog feels the same thing will happen for the democrat’s if they would just pass the darn bill and move on…..
Healthcare or good old fashion politics? Sometimes I like to think I catch on quick…….I have been increasingly seeing this healthcare thing as having nothing to do with healthcare, and everything to do with plain old politics…….and on this one I think I’m right. Chuck Grassley (R. IA) has worked with the White House and the democrats to negotiate a bipartisan bill. He’s back in Iowa right now and he’s catching hell for consorting with the enemy….namely the Democrats and Obama…The issue seems to be less and less, the bill, and more and more, make believe bogey men. the Iowa Caucus’s will move to the same Saturday in 2010…….